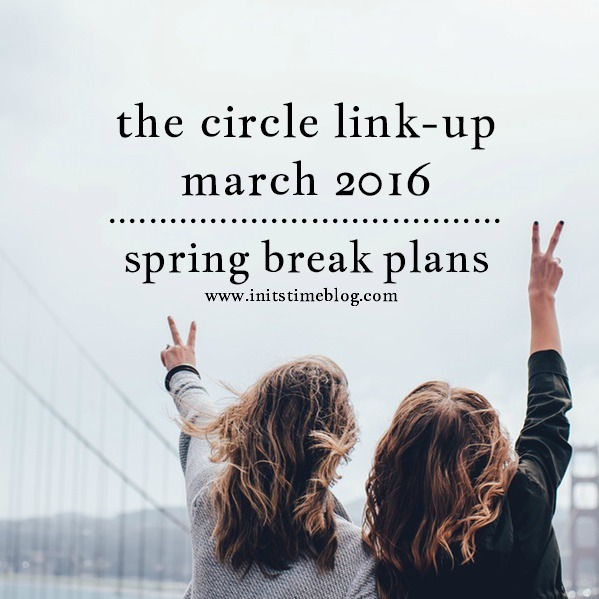 THE CIRCLE MARCH 2016 | SPRING BREAK PLANS. Spring Break always springs up on me (pun fully intended). There's something about this quick break in the school year that brings just enough refreshment to get you ready for the last few months of school and also a little taste into the sweetness that is summertime. 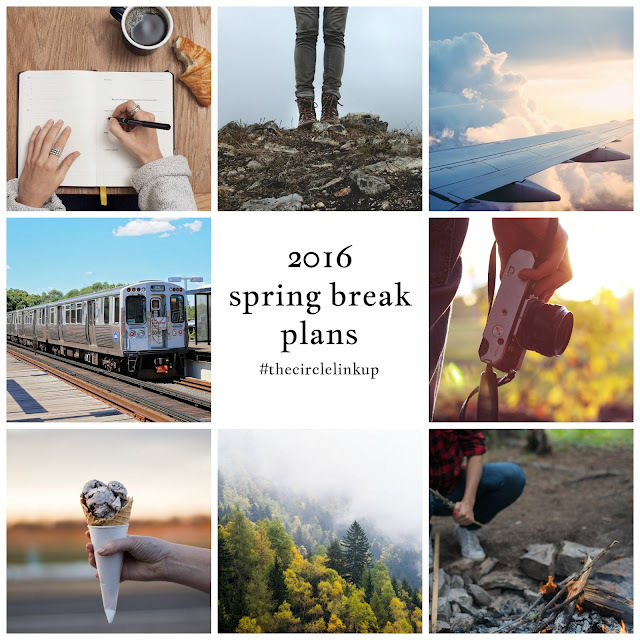 Normally, Spring Break is pretty low-key, but I'm excited to tell you that this year includes a little adventuring, too! But before I share my plans, I want to introduce you to this month's co-host, Diana from the blog, Diana Elle: An Expat Lifestyle blog. Diana inspires me to go see the world and document life one adventure at a time. But I'll let her introduce herself first! Hi, I'm Diana. 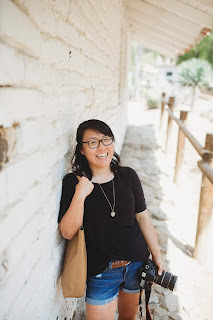 I've been living abroad for the past three years and you can find me at Diana Elle Blog, where I talk about our lives as expats in Germany and some of the trips we take. I am a bit adventurous-I love to explore new places! 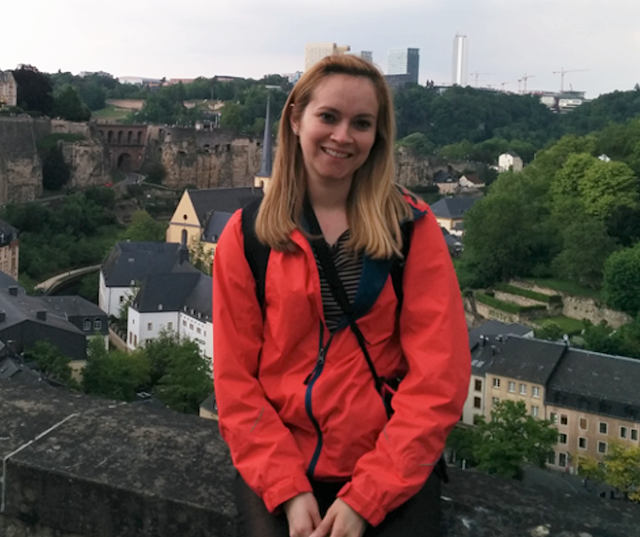 Over the past three years, I've enjoyed adapting to the German culture and all the experiences living abroad has taught me. When I'm not busy cooking, you can find me on the computer, reading or watching Netflix. Before you read my post, go check out Diana's plans for Spring Break, too! My typical Spring Breaks include getting caught up on sleep and hanging out at home. The break is a short one for me and it comes at the end of one term and right before the beginning of the next. So most of the time, I get papers ready for a new set of student teachers and make playdough for the kids. It's the important stuff in life, right? But this Spring Break, I'm packing up and heading out to visit a friend. I'll take the train there and the plane back--neither of which I've ever done by myself and it'll actually be me first train ride, ever! So if you have any travel or train ride tips, I'd love to hear them because I'm kind of a crazy case right now, looking up packing tips on Pinterest and YouTube (yes, it's a real thing!). I'm oddly excited about getting up early for a train ride by myself--getting a few hours to write and take photos (hopefully I'll snag a good seat with lots of views!) and do some lesson planning, too. Although, let's be honest, I'll mostly just be snapping photos and taking all the PNW scenery in! My plans for my time up there are still up in the air, but I'm most looking forward to the chance to explore a new-to-me area of the PNW. They'll likely be hiking (because it's only the best thing in the world), lots of good food, movies, a possible campfire, and lots of picture-taking. To be honest, I think I'm mostly just looking forward to the chance to broaden my horizons--both literally and figuratively. What are YOUR plans for Spring Break? And if you don't have a break, what would you like to do? Do you have any goals for the month? For the week? For the season? It's your turn to link-up! Grab a button, enter in your link, and go check out everyone else's Spring Break plans and goals! Please remember that this isn't just a chance to promote your blog, it's a chance to meet others, too! Thanks for joining in and have fun! Next month, on Wednesday, April 20th, we'll be writing letters to ourselves--ten years in the future. What would you tell yourself about life? What advice do you have for the future? What do you hope to accomplish by then? Write up your thoughts (or maybe even questions!) and link-up with us next month!